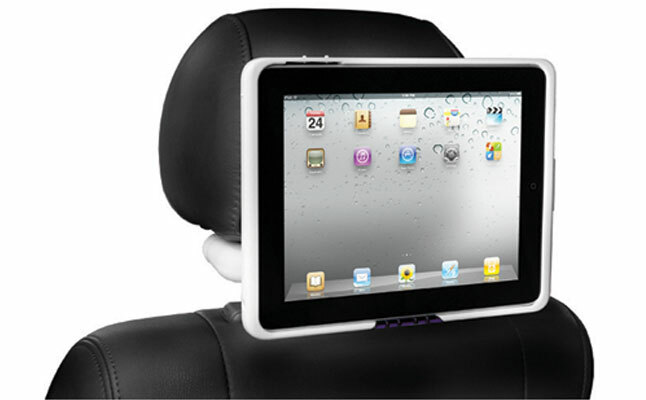 Audiovox presented IPD2FM – a high quality tablet car mount designed to accommodate the Apple iPad 2 and the new iPad. 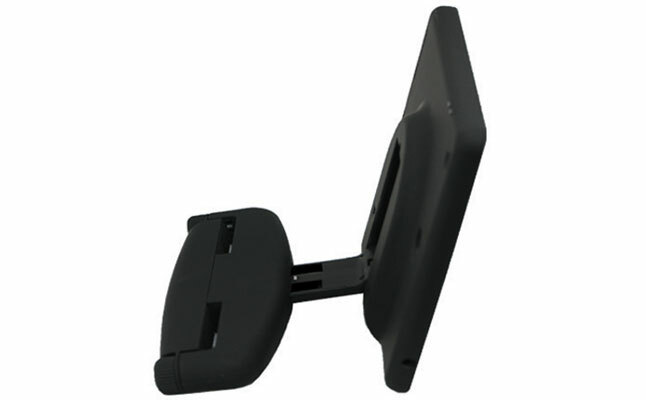 The case features steel structure ensuring safe and stable mounting, protecting the device from impacts and scuffs. The Quick Connect mechanism provides quick and easy docking/undocking. The new iPad case comes with a built-in charging port, allowing the device to be charged while inside the Audiovox IPD2FM. The dual channel IR headphone transmitter ensures the tablet is paired easily with most IR headphones. 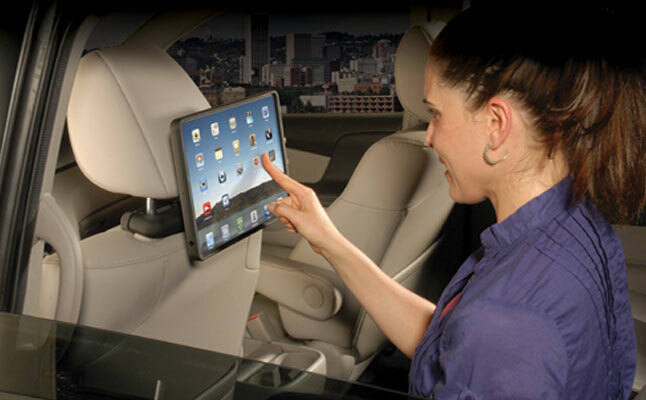 The built-in FM transmitter connects the tablet with the car’s audio system for an enhanced sound effect. 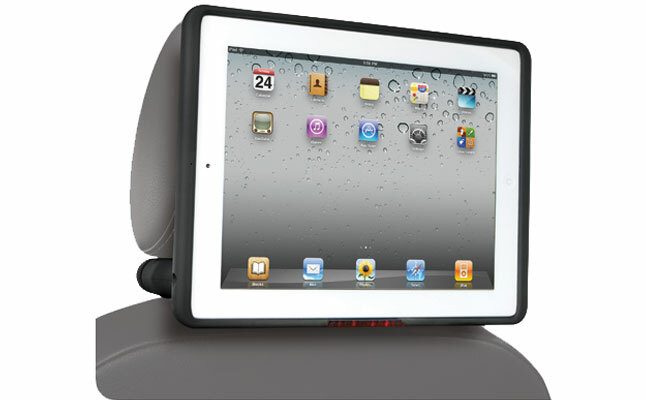 The Apple iPad 2 case offers 6 depth mounting settings ensuring proper fit regardless of what size and shape headrest the car has. The case can also be tilted up and down to achieve a perfect viewing angle.